Hobby Lobby Supreme Court ruling: How many people work at closely held corporations? 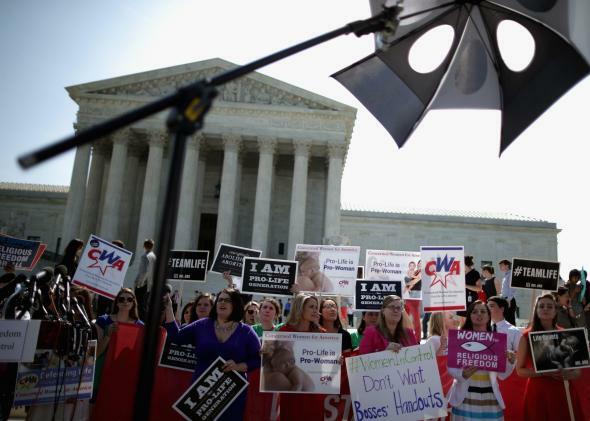 How Many People Could the Hobby Lobby Ruling Affect? It’s all about closely held corporations. The IRS defines a closely held corporation as one that, in general, has “more than 50 percent of the value of its outstanding stock owned (directly or indirectly) by five or fewer individuals at any time during the last half of the tax year” and “is not a personal service corporation.” These corporations are thought to make up around 90 percent of companies in the U.S. Many are small businesses, but large operations such as Koch Industries can also be closely held—a fact Nancy Pelosi cited in her statement denouncing the decision. Hobby Lobby has 572 stores across the country. According to a 2009 research paper from NYU Stern School of Business, these corporations account for 52 percent of private employment and 51 percent of private-sector output in the country. Those percentages might be outdated now but still give a sense of just how many workers are employed at closely held corporations. Fifty-two percent of today’s private sector employees comes out to approximately 60.4 million people, based on the latest data from the Bureau of Labor Statistics. Of course it’s extremely unlikely that all of those companies are about to claim a religious exemption from providing coverage of contraception. Aaron Blake at the Washington Post points to a Kaiser Family Foundation poll that found that 85 percent of large employers offered contraception coverage prior to Obamacare requiring it. But the relatively narrow ruling on Hobby Lobby still has the potential to affect tens of millions of employees in the U.S.